Help Tobias find the truth about a suspected witch. 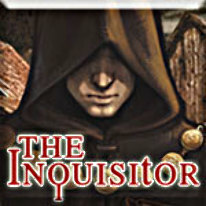 An exciting hidden object adventure, based on Wolfgang Hohlbein’s thrilling novel, set in the mysterious world of the Middle Ages. Take on the role of Tobias, a young and inquisitive monk, as you search for the truth in order to save a remote village. Not only does Tobias know the supposed witch accused of bringing disaster to the village, but he was once madly in love with her. Uncover clues and solve challenging puzzles in this timeless journey, filled with mystery and intrigue.